Hi Antony. I’ve been on my journey- trying really hard to see the light and embrace the good- you know? Smiling today tho dammit! And how are you? The light is right there…on you. I’m good. Keeping busy lol. Sweet little boy! And as usual, his momma takes my breath with her beautiful words. 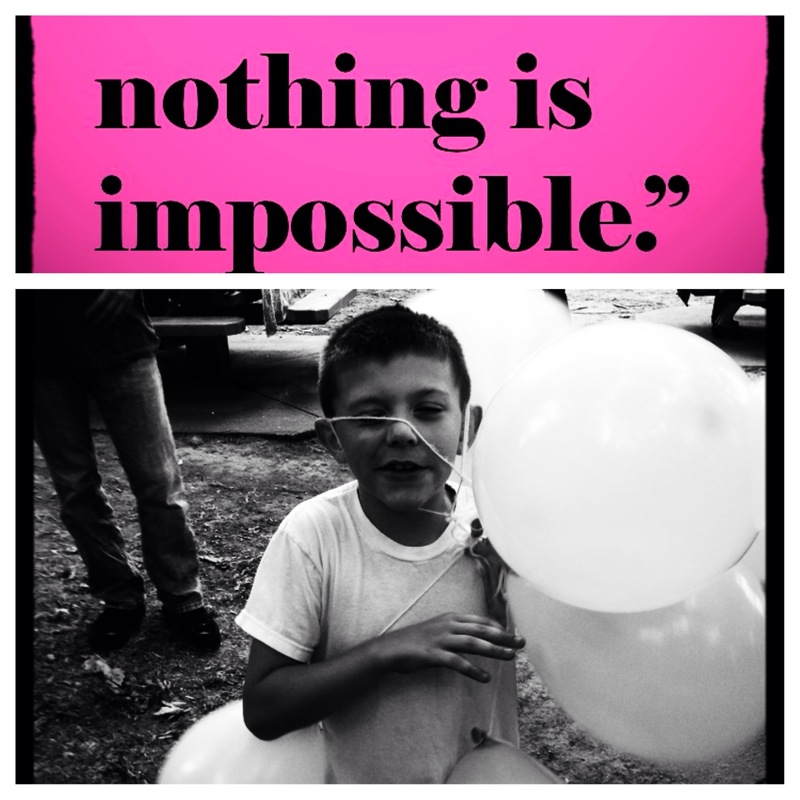 Nothing is impossible. You make it so easy to do! Love ya! If I could do the kiss thing on my PC, I would. Just know the sentiment is there. I do! I adore you so much I get a little carried away sometimes- ☺️💖❤️💋💪👍😻🙋 lol- for real! You are wonderful Annie. Hope you are doing better sweet soul. I can feel the sun shining in this one, Souldiergirl. I love the combination of words, photo and picture – lots of positive energy. Oh I love to here that. Thank you for sharing with me Lily-hope your week is full of love too. You’re welcome and thank you. Glad to keep you encouraged in some way 🙂 You have a wonderful day! I love when you are here! *Smiles* beautiful heart! It is! I love that vision- of filling every container. It’s funny you said that cuz my kids and Literally just gathered containers for all the water we can hold cuz it’s so hot here- now I will add love to that water mix. You’re awesome, thank you! I love that moment too :)) Thank you so much Michael. Peace and love to you too my friend. Thank you! Isn’t he precious :)) I haven’t been home to complete our transaction so I will do so tonight. I adore you so much and I am so excited. Soul hugs and love! Sweet sister, nothing is impossible! Reading this made me smile and my heart jump!!! It it is so true! I posted a quote not long ago: You will always (and only) rise as high as you believe you can. It depends on what you believe in. And you can believe whatever you want. Nobody can tell you what you have to believe. Nobody is ever able to limit you in your beliefs… it is always only we ourselves!!! You rock, girl! You rock!! Do you have your quotes in a book? I know you have books, and I am sorry I have not ordered one yet-I feel like every day zooms by faster than I can keep track of. I really really love what you just said and I want to hang it in my room- I mean it. I needed that today. Thank you soul sister. Yes, nothing is impossible and I will believe as high as I can imagine. Oh how i wish I could hug you!! You make such a difference. Love you sister friend. You couldn’t make me more smile with what you said. Thank you. No I don’t have a quote book yet, but that was a good idea. You can go to this page https://erikakind.wordpress.com/daily-kind-quotes/ click on the link and you get all of my quotes I published by today. Yes yes yes yes!!! 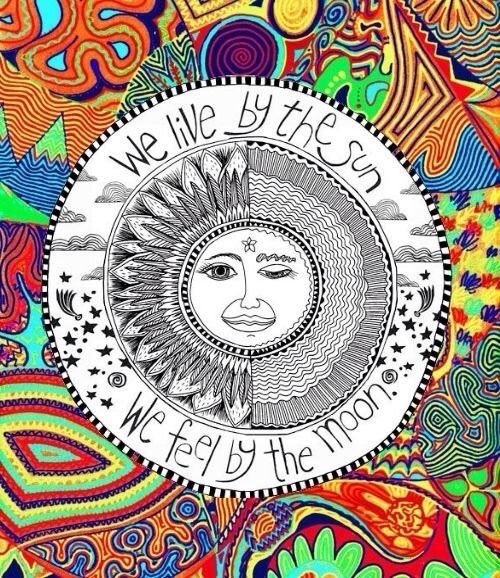 You are the sun and the moon Six. So proud of you!!!!!!!! It is my pleasure, dear! Hello. I wanted to say that I saw comments that you made and I was going back to answer them and they are gone. You know the comments at the top? Anyway I wanted to answer them. I hope I didn’t miss anything. Yes, I love my babies-they are both such miracles to my soul and renew me daily. So, I joined a womens indian drumming group-part of my “rebirth” getting out there and living and overcoming fears. I was really nervous to start something I have never done let alone to perform with these women. Michelle, they totally embraced me, just as you have, no judgements, or attitude, just pure love-the way sisters should be right? The festival was really special too because it was filled with kind souls-something I have not experienced enough of but I am loved it and it is helping me to believe and hope again. I am loving myself and living again ;)) Still a baby at it-but I won’t give up. You are wonderful Michelle. Have a beautiful day sunshine. You know how when I comment on your blog and then you comment back well I wanted to go back and maybe answer those comments. They were not on my little comment thingy anymore. So I didn’t want you to think I ignored your responses. It’s important to me that if someone comments and I don’t respond right away that they don’t feel ignored. I know that might sound silly but I had issues with being invisible so it makes me sensitive to this feeling or responses someone might have and I always try to say something because WP does this and even though I know it’s just WP the friends I have made I always want to honor their hearts and where they are. Hope that makes sense. Now for the Indian drumming! You won’t believe this but my girl is Cherokee Indian. She is blonde as ever, well depending rather she dyes it darker or not, and 1/2 Cherokee. They do these stomp dances at the pow-wows but not drumming which I find fascinating that you get to do this drumming! I’ve only been to one of these. What a wonderful way to usher in this renewal. I love the sound of the drums. You can feel it all the way through you soul! I think sisters like this are so important. I hope this doesn’t sound bad but i sister girl friend told me once when men get involved women act different and there’s something about just girls only! No one plays to the dude tune. In fact I’ve done that for so long I’d be happy if all those dudes would be put on a ship and go far away from me. 😀 Then I might be safe to not act stupid around them. 😛 That is part of my renewal is to own who I am and no change one single thing, action, word or thought about myself when they are around. So hard for me to do. I do have some strong girl friends and they remind me like you said your sister does she fills your phone with photos and text. It’s good to help a girl friend out! I’m so happy you are loving yourself and living again! I’m a baby at it too! I won’t give up because one you experience a little bit of freedom you want all of you to be free! Yay! You are wonderful I feel the same way about you! Have a glorious you kind of day! 😀 LOL that made me smile! Oh honey I just love you! No not cheesie- beautiful. And I am a visual person so that really makes sense to me. And trees are so full of strength and wisdom too- so yes, with our faces to the sun, let’s be like trees.